Fresh green garden herbs in mortar bowl on black stone table top view. Thyme, rosemary, basil, and tarragon for cooking. 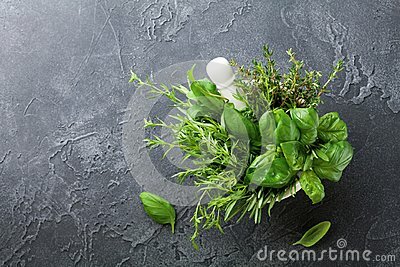 Fresh green garden herbs in mortar bowl on black table top view. Thyme, rosemary, basil, and tarragon for cooking.